Coca-Cola licensed magnetic memo pads will add charm to any home or office. 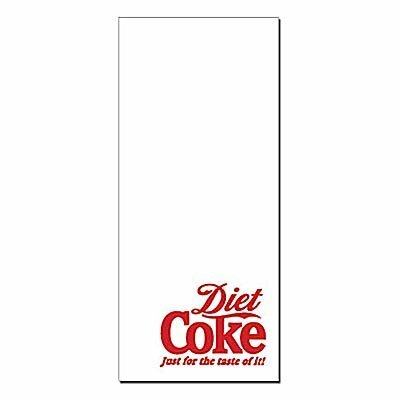 Each Diet Coke logo pad contains 50 beautifully printed sheets and measures 3.75" x 8.5" with a magnet affixed to the back. Made in the U.S.A. Write your notes and to-do lists with Coca-Cola refreshment. Makes a great gift or note pad for your refrigerator!